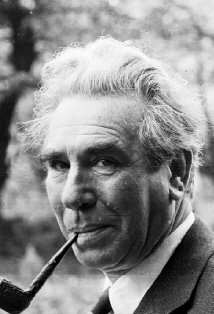 Sir Donald Wolfit, CBE (20 April 1902 – 17 February 1968) was an English actor-manager, known for his touring wartime productions of Shakespeare. He was especially renowned for his portrayal of King Lear. Wolfit was born Donald Woolfitt at New Balderton, near Newark-on-Trent, Nottinghamshire, and attended the Magnus Grammar School. He made his stage début in 1920 and first appeared in the West End in 1924, playing in The Wandering Jew. He was married three times. His first wife was the actress Chris Castor, and their daughter Margaret Wolfit (1929–2008) was also an actress. He also had two children by his second marriage - Harriet Graham, actress and children's author and Adam Wolfit, photographer. An active Freemason, he became Master of Green Room Lodge in 1965. Wolfit was made a Commander of the Order of the British Empire in 1950 for his services to the theatre, and knighted in 1957. He played some major supporting roles at the Old Vic Theatre in 1930, appearing in Richard of Bordeaux with John Gielgud, and finally gained prominence at the Shakespeare Memorial Theatre in 1936 as Hamlet, whereupon he tried to persuade the management to finance him on a tour of the provinces. They declined the invitation, so he withdrew his savings and in 1937 started his own touring company, which he would lead for many years, prompting Hermione Gingold's bon mot: "Olivier is a tour-de-force, and Wolfit is forced to tour." Wolfit's speciality was Shakespeare. He was known especially for his performances as King Lear and Richard III. He also played Oedipus, and the lead roles in Ben Jonson's Volpone and Christopher Marlowe's Tamburlaine. His touring company performed in London during the Battle of Britain in 1940 and Wolfit staged a very successful series of abridged versions of Shakespeare's plays in London during the Second World War in the early afternoon for lunchtime audiences. In January 1942, by arrangement with Lionel L. Falck, Donald Wolfit presented Richard III at the Strand Theatre in London. Wolfit played King Richard; others in the production included Eric Maxon (King Edward IV), and Frank Thornton (Sir William Catesby). In 1947 Wolfit proved unpopular with American critics when he took the company to Broadway. He appeared at Stratford during the 1950s in his signature role of King Lear, and was invited to play Falstaff at the RSC in 1962 but turned the offer down when he discovered Paul Scofield would be playing Lear there at the same time, saying "Lear is still the brightest jewel in my crown!" Edith Sitwell wrote to Wolfit: "The cosmic grandeur of your 'King Lear' left us unable to speak. ... all imaginable fires of agony and all the light of redemption are there." Wolfit was primarily a stage actor, although he appeared in over thirty films such as Svengali (1954), Blood of the Vampire (1958), Room at the Top (1959), Lawrence of Arabia (1962) and Becket (1964). He worked a good deal for the BBC, performing as King John and Volpone on television, and as Lear, Falstaff and Richard III for radio – as well as modern parts like Archie Rice in The Entertainer. Wolfit died on 17 February 1968, at the age of 65 in Hammersmith, London, of cardiovascular disease. His final two films, Decline and Fall... of a Birdwatcher and The Charge of the Light Brigade (both 1968), were released posthumously. Ronald Harwood, who at one time was Wolfit's dresser, based his play The Dresser (later turned into cinema and TV films) on his relationship with Wolfit. Harwood also wrote Wolfit's biography. Peter O'Toole, who worked with Wolfit on several films and plays over the course of his career, considered Wolfit his most important mentor. Wolfit was also an important influence on the early acting career of Harold Pinter, who worked for the Donald Wolfit Company at the King's Theatre, Hammersmith in 1953–54, performing eight roles with him. Wolfit long maintained a bitter hostility to John Gielgud, fuelled by Wolfit's resentment of Gielgud's public school background and family connections in the theatre. The actor Leslie French has contrasted the two men: "John was a very gentle person, very caring, with a lovely sense of humour. Donald was a joke, a terrible actor with no sense of humour, who believed he was the greatest in the world. Once John and I took a call in front of the curtain; Donald collapsed in tears because he wasn't called." Wolfit's last appearance on stage was in a musical, as the domineering Mr Barrett in Robert and Elizabeth (1966–67). The papers of Donald Wolfit, and those of his first wife Chris Castor, are archived at the Harry Ransom Center at the University of Texas at Austin as part of their extensive British performing arts holdings. The papers include Wolfit's promptbooks, management records, tour schedules, production papers, scene and costume designs, extensive correspondence, and more. The Ransom Center also holds a small selection of costumes and personal effects from Wolfit and his company, including Wolfit's certification as a Commander of the Order of the British Empire, and Rosalind Iden's gown worn as Beatrice in the company's production of Much Ado About Nothing. ^ "Index entry". FreeBMD. ONS. Retrieved 30 October 2011. ^ Obituary for Margaret Wolfit. The Stage (21 October 2008); retrieved 9 October 2011. ^ Billington, pp. 20–25; 31, 36, 37–41; "Acting: The Donald Wolfit Company", haroldpinter.org, accessed 9 October 2007. ^ "Donald Wolfit: An Inventory of His Papers at the Harry Ransom Center". norman.hrc.utexas.edu. Retrieved 29 February 2016. ^ "Chris Castor: An Inventory of Her Papers at the Harry Ransom Center". norman.hrc.utexas.edu. Retrieved 29 February 2016. Billington, Michael (2007). Harold Pinter. London: Faber and Faber. ISBN 978-0571234769. Croall, Jonathan (2012). John Gielgud: Matinee Idol to Movie Star. London: Bloomsbury Methuen Drama. ISBN 978-1408179451. Harwood, Ronald (1971). Sir Donald Wolfit, CBE: His Life and Work in the Unfashionable Theatre. London: Secker and Warburg. ISBN 978-0436191213. O'Connor, Garry (2002). Paul Scofield: An Actor for All Seasons. New York: Applause Theatre & Cinema Books. ISBN 978-1557834997. This page was last edited on 12 March 2019, at 23:00 (UTC).